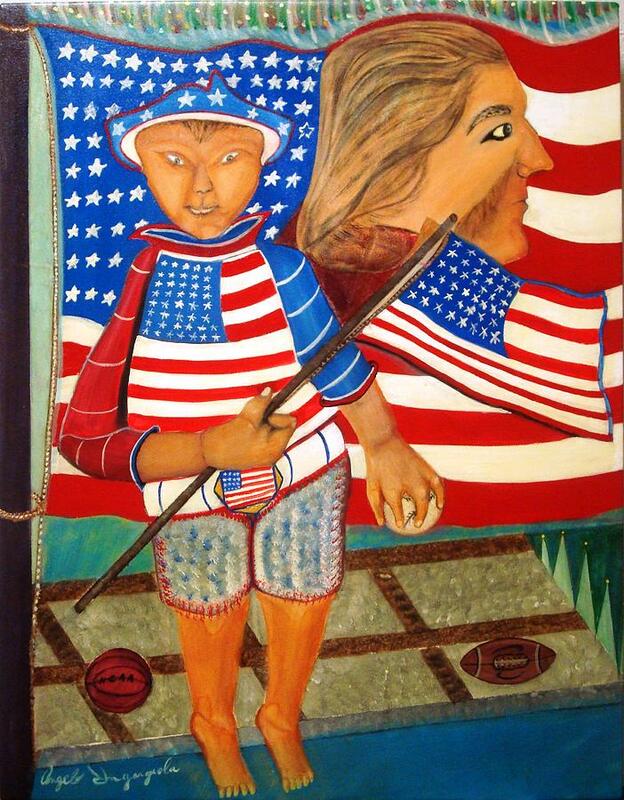 My America is a painting by Angelo Ingargiola which was uploaded on January 14th, 2010. Directly from Italy when he was a boy Angelo is a proud american and was influenced to paint this picture of a young man who loves his country... Colorful and unique this is a great addition to any collection. There are no comments for My America. Click here to post the first comment.